Jumpsuits and dresses	There are 45 products. 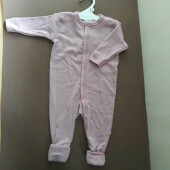 a 100% merino woolen jumpsuit. At the 2nd picture you see old pink op top of regular pink. 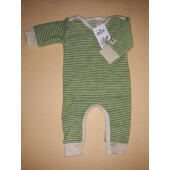 A woolen jumpsuit made of 100% GOTS certified wool. The quality almost feels like wolfleece but is brushed wool. 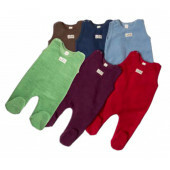 A woolen romper with legs made of 100% GOTS certified wool. The quality almost feels like wolfleece but is brushed wool. 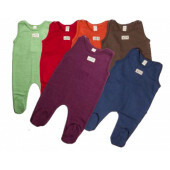 A GOTS certified long sleeved pants made of 70% wool and 30% silk. 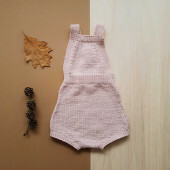 A lovely 100% merino playsuit made in the Netherlands by experienced knitters. The playsuit needs to be washed by hand. 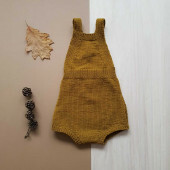 Since the knits are hand work and we use different dye-baths for the wool, the colour may vary slightly and every item is unique.By doubts about the size, pick the largest one.